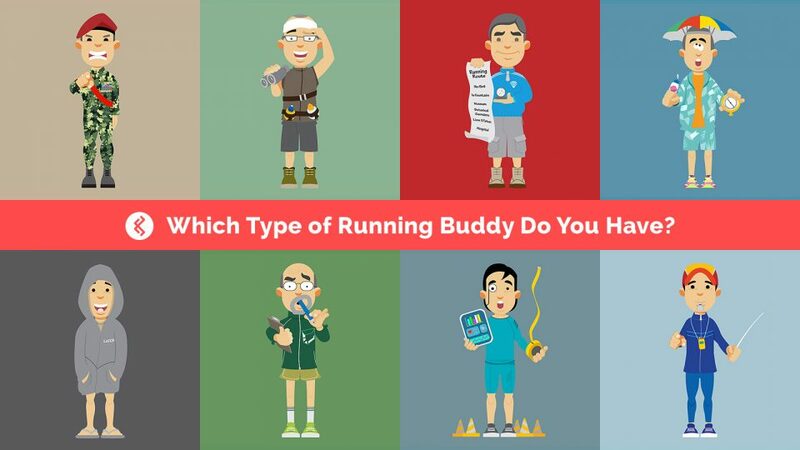 Which Type of Running Buddy Do You Have? Many runners agree that training runs can be a lot more enjoyable if they are tackled with a running buddy. Depending upon your personality and running habits, there are certain types of people who may be better suited to run with you than others. 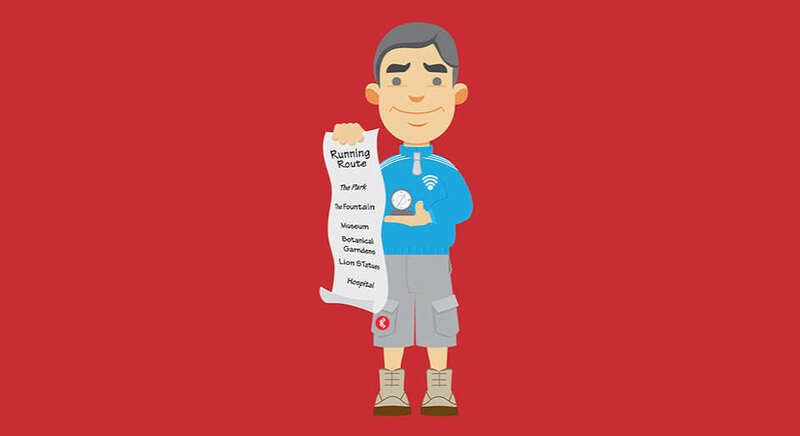 While every runner has a unique set of personality traits, most people tend to fall into one of the eight categories of running buddies below. 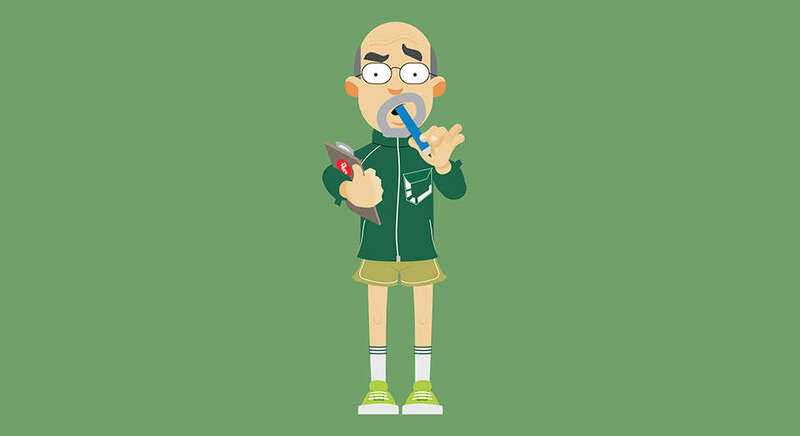 Before you choose a running partner, you should consider your own habits and the characteristics that you like or do not like in a running buddy. 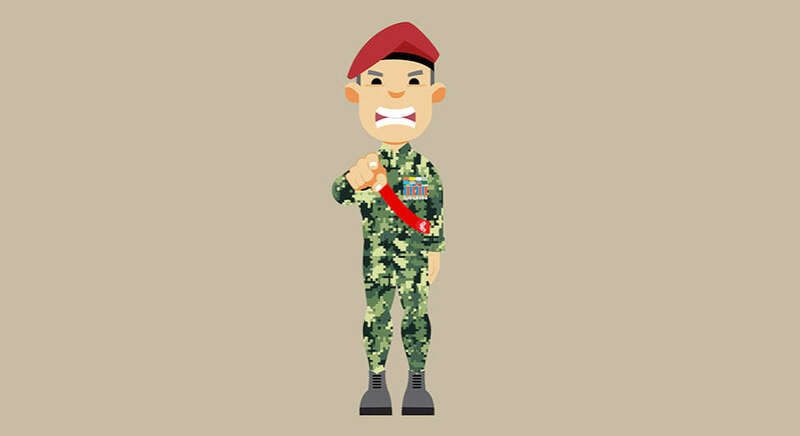 More like a military officer than a running buddy, this type of running partner is on a mission to make sure that you stay on target during your running routine! 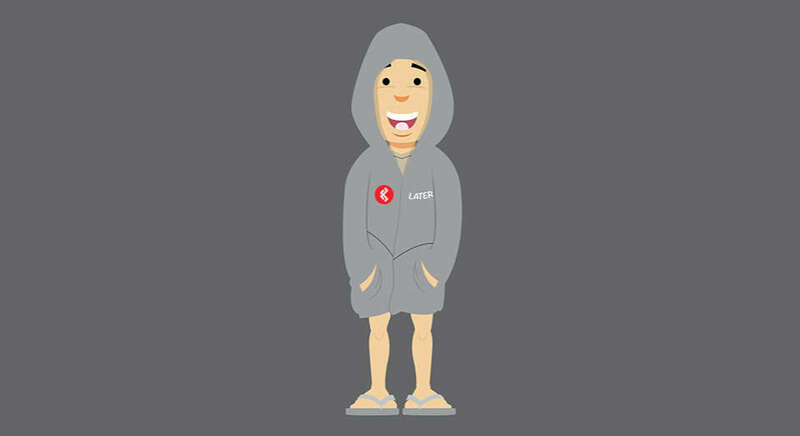 You need to make sure that you are dressed in your running gear, on time, and ready for a workout when you join this friend for a run. If you even consider slowing down your pace, this running buddy will make sure that you swing back into action and make up for any lost time. If you are in the mood for a leisurely jog with some sightseeing and intermittent window shopping, then you may want to consider choosing a different partner! Favourite tagline: My grandmother can run faster than you! 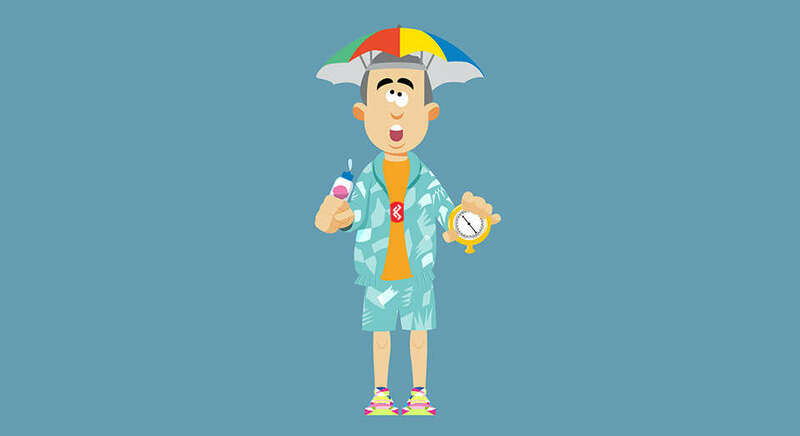 The exact opposite of The Drill Sergeant, The Procrastinator seems to have an endless array of excuses to cancel road races and training runs. The Procrastinator does not detest running but just want to satisfy all reasons to make a move and rely on you to convince him/her. With this type of running buddy, you are lucky if you make it out the door for your run! Never on time to meet you for your morning runs, The Procrastinator can really try your patience. Sometimes you feel like you have spent more time waiting on this person than actually running with this person! Favourite tagline: I'm so tired, can we run tomorrow instead? Every run becomes an adventure with The Explorer by your side. Unlike the Human GPS, The Explorer has no desire to engage in any planning for his or her runs. You need be prepared to run on any type of surface and during any time of the day. The Explorer thrives on adventure and enjoys venturing into unchartered territory. You should also be open to running in a variety of weather conditions. 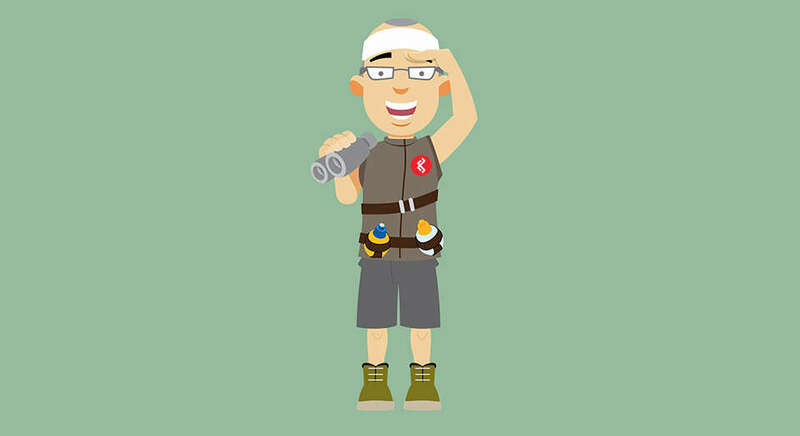 The Explorer often enjoys charting a running course as the run unfolds, as opposed to planning a course in advance. If you are running long distances with this running buddy, you need to be careful not to get lost. Favourite tagline: Every run is an adventure. This running buddy is a human roadmap! Your running routes are mapped out before each run and you may be presented with a detailed schedule of running routes weeks in advance. The Human GPS is a great partner for distance runners who can’t seem to find a good running route. Possessing a great sense of geography and knowledge of each and every street within a 20 kilometers radius, this running partner is a fantastic match for people who do not possess a keen sense of direction. 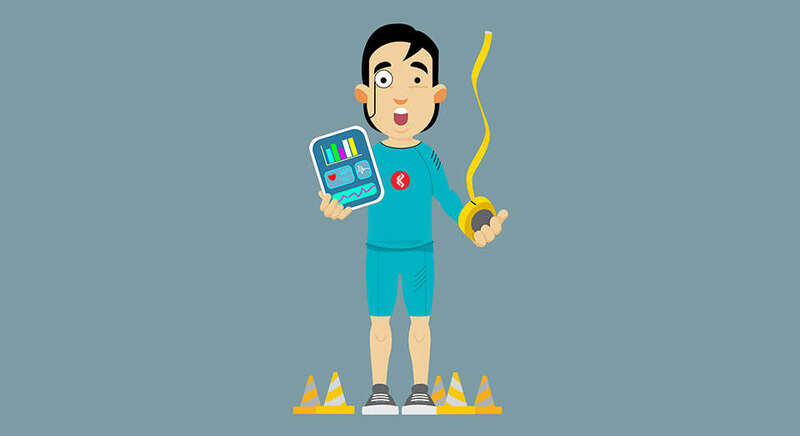 If you are looking for a partner who will be in charge of mapping out your running courses, this is the buddy for you! Favourite tagline: The good run is a process, not a state of being. It is a direction not a destination. With this type of running partner, you will never run the risk of not knowing the extended forecast for your city. Constantly preoccupied with the weather, The Meteorologist will immediately launch into the current weather conditions. Rather than focusing on the pavement and the scenery, this running buddy will be looking up at the sky for the majority of the run. Any chance of precipitation may be exaggerated but runs will never be postponed as he/she will always be prepared. Favourite tagline: There is no such thing as a bad weather, just soft people. Running with this type of buddy can feel much like a session with a counselor or psychologist. Rather than focusing on a pre-race stretch or warmup, you are immediately showered with questions about your personal relationships. When you run with this buddy, you will be coaxed to talk about what transpired with your family and co-workers since you last ran together. At times, this type of running partner almost seems to seek sort of dysfunction in your life and is eager to provide advice or feedback. Favourite tagline: There are many ways of getting strong, sometimes talking is the best way. Rather than focusing on the scenery or serenity afforded by a run, this person is obsessed with tracking distances ran, calories burned, and steps taken. 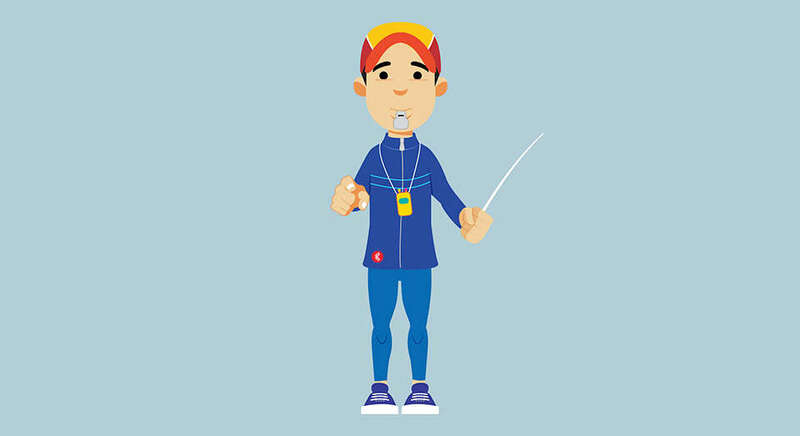 Often armed with multiple measuring devices, this buddy is on a mission to log and analyze every bit of data garnered during a run. Rarely will you complete the first ten minutes of your run without receiving a synopsis of your warmup and how much distance you have covered. Favourite tagline: Statistics is the grammar of running. With The Teacher by your side during a run, you can count on receiving a running commentary regarding your running style. Rather than focusing on the road or him/herself, this type of buddy will keep a constant eye on YOU and provide you with an ongoing critique. You should be prepared to receive ongoing feedback on your stride, your gait, your posture, your breathing, and your pace. The Teacher may even grade your performance after each training demonstrate, run and track your progress each time you are together. Favourite tagline: Tell me and I forget. Teach me and I remember. Involve me and I learn. Share with your Running Buddy! While there may be marked differences between each type of running buddy, it is important to remember that all eight types share a love for running. It is this mixture of personalities with a common interest that makes running such a fun activity to partake in with a friend! Don't run alone, invite, ask or even drag your running buddy along for your next running event at now!